SCRG focuses on research and education in machine learning and soft computing. In machine learning, we study and develop algorithms that can learn from and make predictions on data to make data-driven predictions or decisions. In soft computing, we deal with imprecision, uncertainty, partial truth, and approximation in data to achieve practical, robust and low-cost solution to problems. Our expertise includes but are not limited to Neural Networks, Support Vector Machines, Fuzzy Logic, Bio-inspired and Evolutionary Computation and Probability-based Methods. We have vast experience in applying our techniques, which also include computational statistics and mathematical optimization, in various application domains. Computational Intelligence, Data Mining and Knowledge Discovery, Pattern Recognition, Intelligent Database Systems, Information Retrieval and Text Analytics, Intelligent E-Learning, Intelligent Computer Aided Manufacturing, Medical Informatics, Cheminformatics and Bioinformatics, Intelligent Financial Analysis. 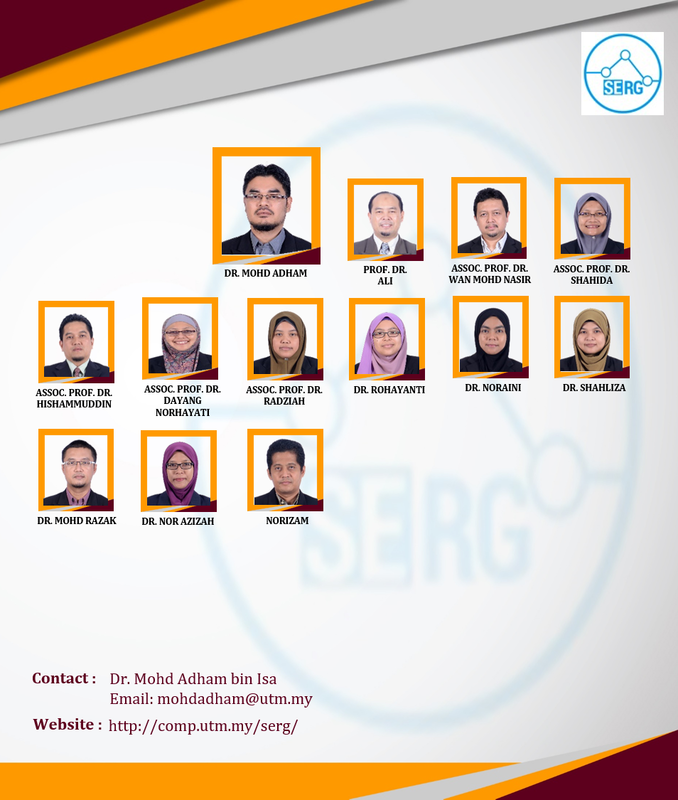 Pervasive Computing Research Group (PCRG) focuses on research and development in the field of Pervasive Computing (PC). This computing approach is an emerging field, and it promotes new paradigms for computing models in the 21st century. Tremendous progress in PC technologies which include cloud and mobile computing, wireless communications and networking, and sensors, and the like, have led to the evolution of Internet of Things (IoT). We welcome joint research and development, and Industrial collaborations in our fields of interest. We are looking forward developing IoT-based products and services to different sectors such as transportation and agriculture. Internet of Things, Wireless Sensor Network, Wireless Mesh Network, Mobile Ad Hoc Network (MANET), Vehicular Ad Hoc Network (VANET), Wireless Body Area Network, Cloud Computing, Network Security. 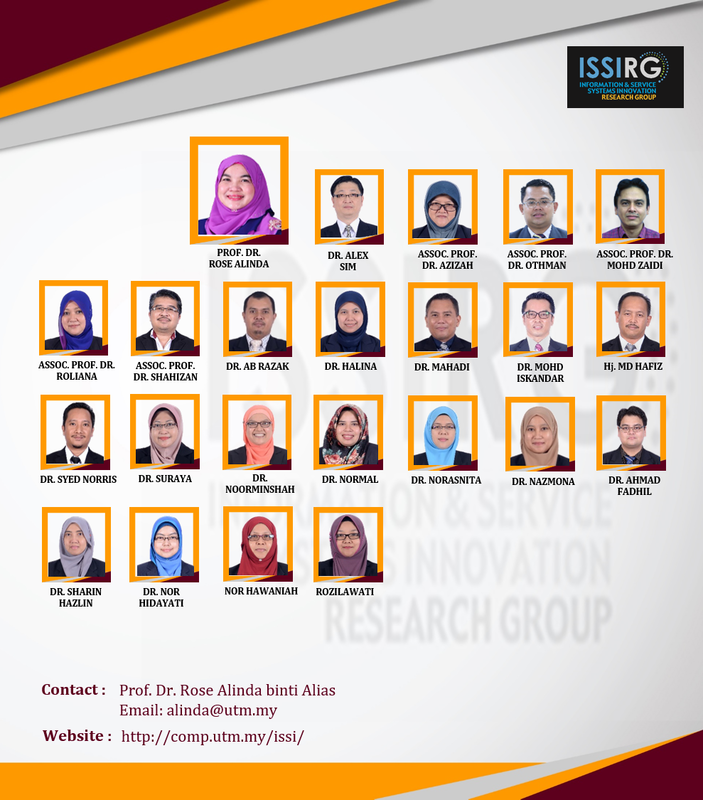 ISSI research group is focusing on both information and service systems type of innovation. With the first type, information systems are the means for people or organizations to create, gather, process, store, use and disseminate information through computer mediated technologies in a digital ecosystem. Whereas, service systems are the configurations of technology and organizational networks designed to deliver services that could satisfy the needs, wants, or aspirations of customers. We welcome interdisciplinary researchers to join us! Human Computer and Interaction, Business Intelligence and Data Analytics, IS Implementation, Adoption and Diffusion, IS Education and Learning, Information and Knowledge Management, Electronic and Mobile Services, Social and Human Behavior in IS Governance, Risk and Compliance, Design Science and IS, Social Innovation. 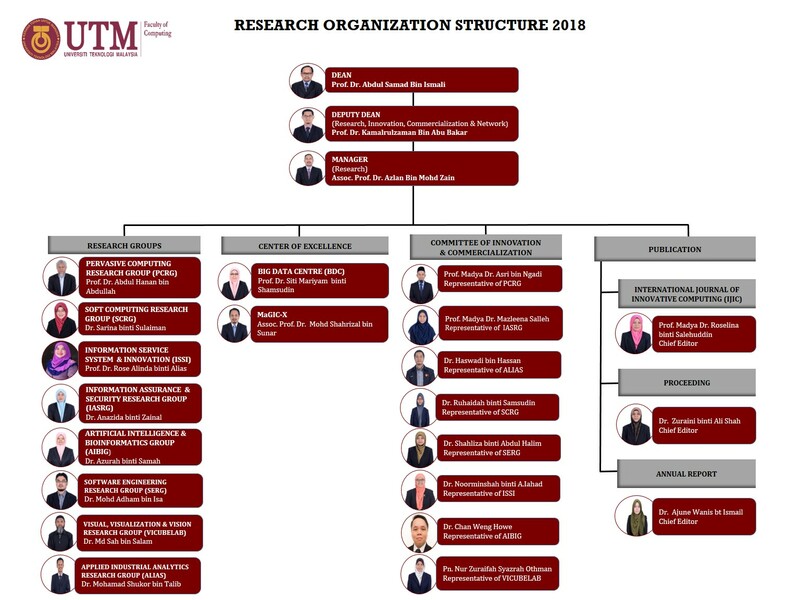 SERG is actively involves in the research efforts that aims to improve the techniques, methods, processes and tools for development and maintenance of software systems. The contributions of our research activities extend over various software engineering knowledge areas with the focus on certain research themes such as Software Modeling, Software Testing and Software Reusability. The research results may be applied to a variety of application areas ranging from small embedded systems to large scale software applications. We welcome industry and organization member or prospective research students to join us in enhancing the state of software engineering research and practice. Software Modeling and Specification, Software Quality and Testing, Software Usability and Reusability, Software as Service, Dependable Embedded Real-Time Systems, Agile Software Development, Intelligent Software Systems, Model Driven Architecture, Software Product Line, Software Maintenance and Evolution. Formed in Sept 1999, AIBIG research group – formerly Artificial Intelligence and Bioinformatics Laboratory (AIBIL) – is being active in several scientific research areas especially Artificial Intelligence and Bioinformatics. We also have collaborators at national and international levels such as from Japan, Spain, Australia, USA, Indonesia, New Zealand, etc. Sometime, our staff and student go to abroad for research attachment and academic activity. Our group has also implemented a proactive ecosystem for research environment and culture so that all staffs and students can be successful and excellent in their study and research. Bioinformatics, Computational Biology, Artificial Intelligence, Operations Research, Image Processing In Silico Biotechnology, Timetabling/Scheduling, Pattern Recognition, Computational Manufacturing. 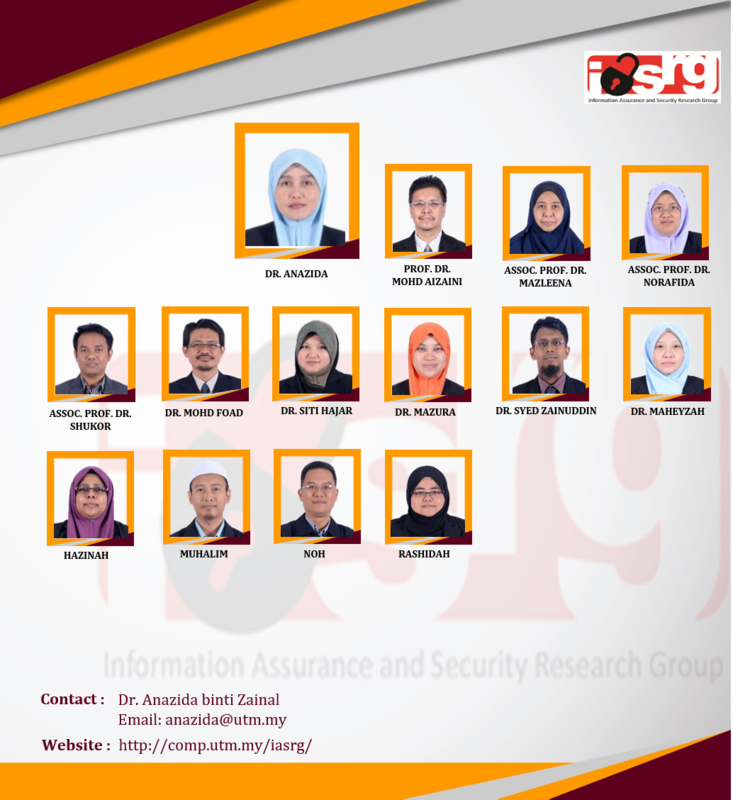 The goal of Information Assurance and Security Research Group (IASRG) is to promote research in information assurance and security in ICT, produce qualified human capital in this area and viable innovation research products. IASRG focuses on issues related to protection of information and communications services and infrastructure systems. The three key focus areas are: Cyber Security, Multimedia Security, and Disaster Management. Through these research findings, the group intends to increase security awareness among the community and strives to influence appropriate and effective public policy in the area of information assurance and security. Web Filtering, Cyber Threat Analytic Intrusion Detection/Prevention Systems, Malware Detection, Digital Forensic, Cryptography, Watermarking & Information Hiding, IoT and Wireless Sensor Security, Information Security & Management, Information Disaster & Risk Management. 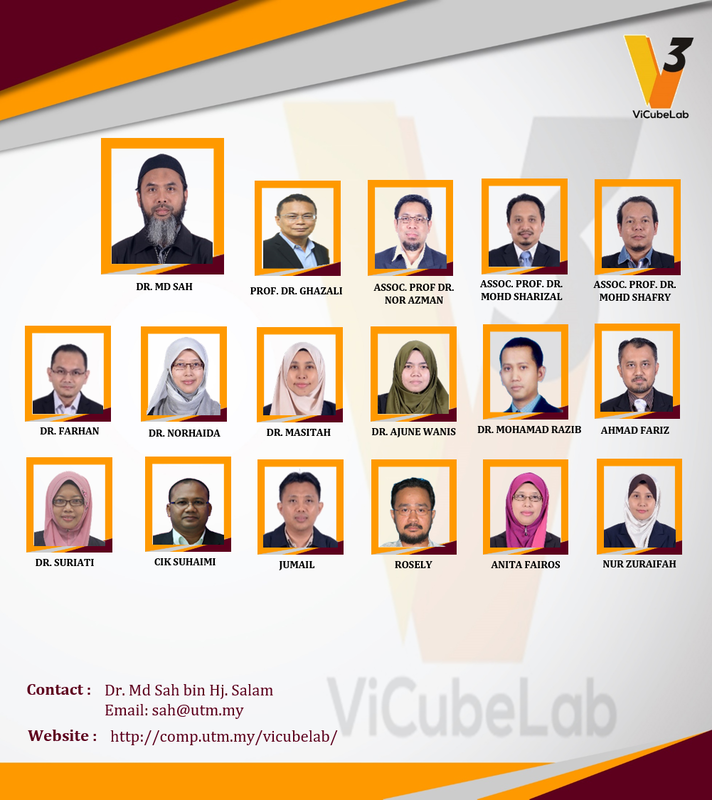 Vicubelab is cross-disciplinary Research Group in computing with primary focus and research activities revolves on the design, implementation and application of computer graphics, human computer interaction, vision, simulation and immerse visualization theories. The goal of the group is to develop resource efficient applications, theories and algorithms that could minimize human involvements in computing as a process as well as reducing the overhead costs associated with the use of computer limited resources. 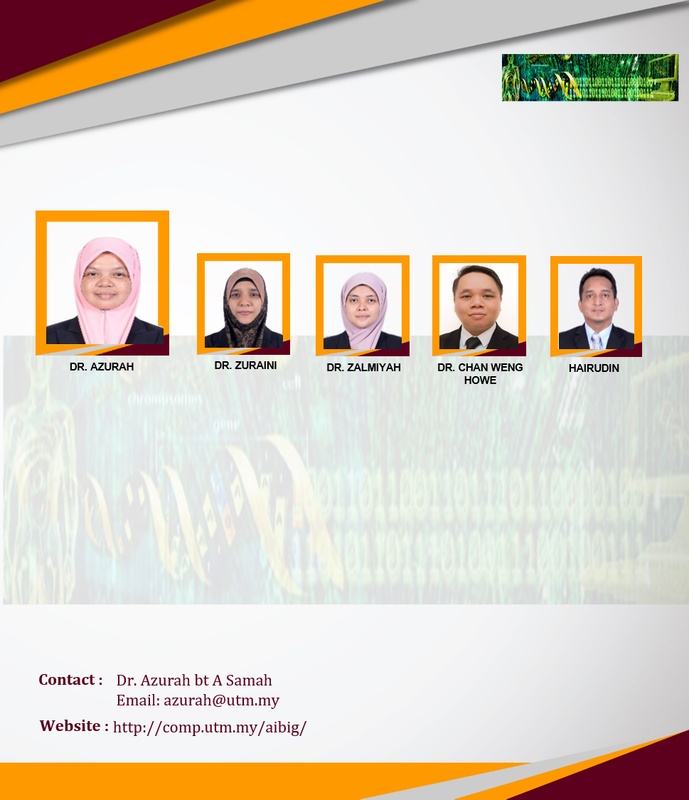 Located in the Faculty of Computing, UTM and currently working on a range of research and project in collaboration with industry and academia. Computer Graphics and Visualization, Computer Vision, Image Processing, Speech Processing, Human Computer Interaction, Webometric, Intelligent System. Applied Industrial Analytics (ALIAS) is a new research group established in 2018. ALIAS research group is created to serve as a platform for collaboration between industry and researchers from higher education institution. Our mission is to foster collaboration by embracing industry driven research culture; provide innovative and creative solution utilizing current technology in analytics that suit industrial needs. 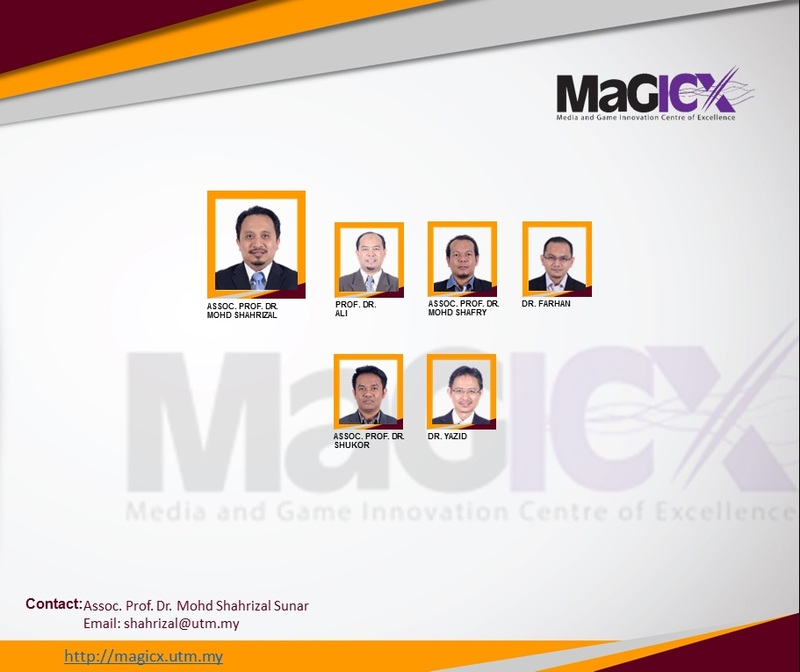 Media and Game Innovation Centre of Excellence (MaGICX) is a strategic cooperation between Universiti Teknologi Malaysia (UTM) and Iskandar Regional Development Authority (IRDA) to support and promote the development and ecosystem of creative industry that focuses on gamification and enrichment of digital content. MaGICX is a setup, tailor-made to offer industry players/SMEs/clients technical expertise/consultation,research/product development, business development, publishing, marketing and/or training in producing commercially viable Games and Gamification related products and services. Augmented, Mixed and Virtual Reality, Image Processing and Computer Vision, Human Interface Technology, Medical Computing and Visualization, Digital and Social Media Security, Speech and Signal Processing, Multimedia and Software Innovation, Multimedia Software Engineering, Emerging Technology, Edutainment. 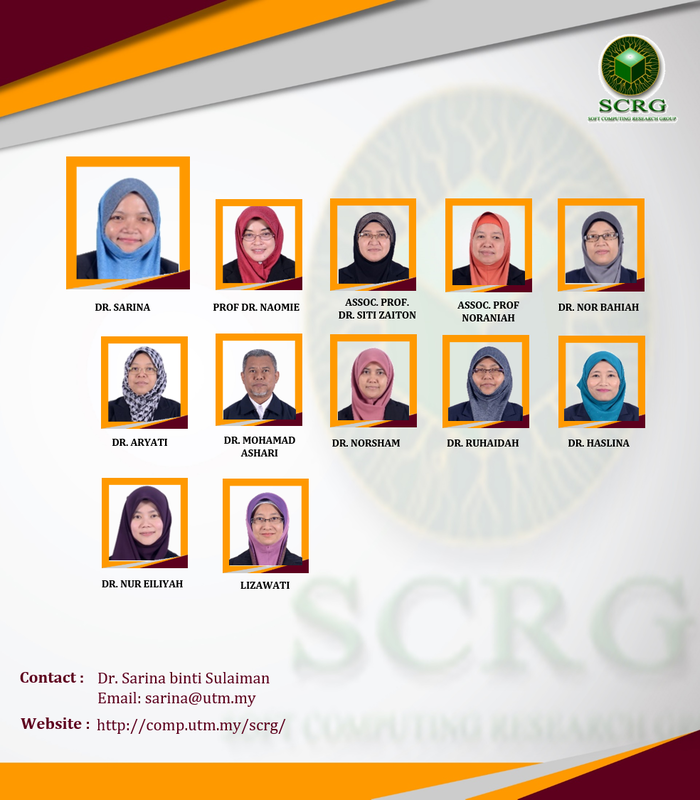 We are rooted from one of the active research groups in UTM: Soft Computing Research Group (SCRG). Since 2011, we have played the games in Data Science and Big Data until UTM Big Data Centre is officially established 15 April 2014. We have more than 20 years experiences in the field of Data Analytics, Machine Learning, Pattern Recognition, Computer Vision & Fundamental Aspect of Data Analytics. Now we blend our expertise in Big Data Analytics, CUDA programming, Graphics Processing Unit (GPU)-based Machine Learning and Big Data Platform in GPU environment. Big Data Predictive Analytics, Deep Learning for Data Science, GPUMLib for Big Data Analytics, CUDA for Data Analytics, QR Big Data Codes for Security, Multimodal Biometric Analytics, Machine Learning, Soft Computing, Mobile GPU Computing.